These days investing in a cheap compendium doesn't mean you have to sacrifice style or quality. Here at Compendium Planet, we offer an extensive range of budget friendly padfolio units complete with your unique custom branding. 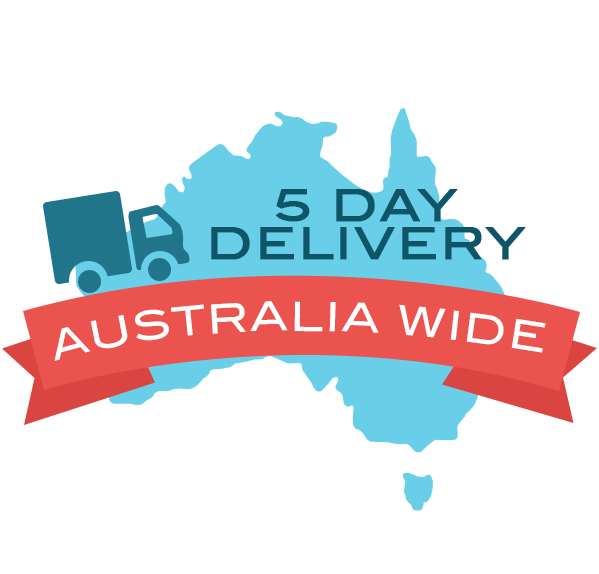 Because of our large assortment of products we can provide some of the best prices in Australia. Provide your staff with compendiums that help boost productivity with their functions as well as promote your brand. Nothing beats having a range of matching professional business accessories for your sales team or group of volunteers. Best of all, our budget branded padfolio collection won't break the bank. Promotional budget compendiums featuring your design are available in affordable synthetic outers as well as more premium leather look (faux leather) options. For those seeking a formal corporate look, there are leather highlight/synthetic exterior combinations that look exquisite. Check out our range below to find out more. What is a Budget Compendium? Compendiums are promotional folders, made from durable material and used to store various office necessities including pen, notepads and files. Budget compendiums are our cheap options for these products, made from materials such as microfibre and faux leather. We brand them with your logo design for use as a corporate gift or giveaway item. Colourful and value for money! A handy product that's small in size but big in features. Small folio that's small on size but big on features. Stylish and affordable portfolio ready for branding. If you are needing a custom branded compendium at a budget then this is the perfect category for you. These compendiums look fantastic but the big secret that no one has to know is that you didnt pay the earth for them. What makes these compendiums so classy yet low in price is that they are typically made from imitation leather or fabric finishes. They are still very appealing but very economical in price. Did you know that if you wanted to kit out your entire staff with compendiums you can potentially go for our indent service? What is it? Well for budget printed compendium orders over 250 units we can have your product custom made just for you. When it is custom made you not only enjoy the features that you want but also at a lower cheaper price too. Find out more by calling us today! Our range of budget compendiums are produced under strict quality control conditions in our overseas China factory. Enjoy factory direct savings when you buy your promotional compendium from compendium planet. 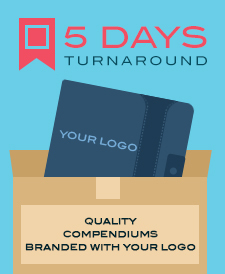 Your custom budget compendium can be delivered within 2 weeks for in stocked products including branding of your logo. If you required the item sooner though please let us know and chances are we would be able to supply in time. For large orders which may require indent (typically for orders above 500 pieces) it may take up to 10 weeks for sea freight or 4 weeks via air freight. Please contact us to confirm delivery time. If you would like to see a physical sample in this range of budget compendiums please contact us. Samples are charged at freight cost plus a discounted price from our website. If you would like to proceed with an order but would like a pre production sample of the compedium branded with your logo this will take around a week for production as well as associated set up costs and print per unit which our sales team member will be able to advise you on.